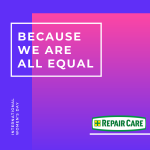 On this page, Repair Care provides answers to the most frequently asked questions for the use and application of our products. Should you not find the answer to your question here, do not hesitate to reach out to us via our contact page and we will try and get back to you as soon as possible. The cost of repairs is significantly lower than replacement. The exact cost depends on several factors and our Excel spreadsheet gives a good indication of how to estimate prices. For complete assurance, our Joinery Inspection Survey provides a detailed report and accurate estimation of all costs involved in a project. With the correct preparation and application, DRY FLEX® repairs will last for the lifetime of the substrate. The repairs will also significantly extend redecoration cycles. Yes, our products are guaranteed for 10 years, subject to conditions. A range of training options is available. Our short, cost effective training courses show the easiest ways to use the system and ensure that you get the best performance from it. A training DVD is also available. Are there any test results from known independent research institutes? Yes, since 1995 TNO in Delft (The Netherlands) has developed a research program based on practical research and evaluation to test the durability of the products used to repair windows and windowframes. All products from Repair Care have been tested according to the TNO method. In addition, Repair Care itself has been testing with its own test station in the Austrian Alps for more than 20 years. In Europe, the test institutes have further agreed that the test standards are mutually recognized. I have a window with wood rot; What should I do? Consult a painting company or maintenance company to have it inspected whether the window needs to be replaced, or whether it is possible to carry out repairs or partial replacement. 95% of the time it is possible. It is cheaper than replacing but also the durability of your window will increase significantly. You can also go to www.Eazy-fix.com and do your own analysis. For more information, please go to www.Eazy-fix.com. Can you give me the name of a local recommended contractor? Please contact us for details of a local trained specialist or find our overview here. What is DRY FIX® for? What are the differences between DRY FLEX® 1, 4, and 16? The numbers refer to approximate drying times in hours (at 20 degrees) DRY FLEX® 16 is ideal for larger projects where time is not a factor DRY FLEX® 4 is suitable for small and large repairs that need completing within a day. DRY FLEX® 1 is suitable for fast, small repairs from 5 – 10 mm in depth, for example emergency response maintenance. Further details can be found on the products page. Can I apply a fine surface filler over DRY FLEX®? This should be avoided as these fillers have a limited life and can lift the paint prematurely. 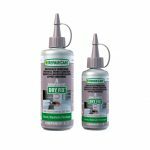 For best results use DRY FLEX® SF, a spot repair product formulated to bond to existing DRY FLEX and substrates. Can I use DRY FLEX® after its expiry date? We do not recommend you use any product after its expiry date. What happens if it rains shortly after application of DRY SEAL™ MP? DRY SEAL™ MP should only be applied in dry weather but will not be affected by rain once it is applied. Is DRY SEAL™ MP safe with double glazed units or specialist glass? DRY SEAL™ MP has been tested and is compatible with a wide variety of glazing including acoustic, laminated, sealed double-glazing, Slimlite double glazing, plate, solar reflective and self-cleaning glass. It can also be used with polycarbonate glazing. Is DRY SEAL™ MP approved by conservation surveyors and architects? Usually yes, but please check before applying. My glazing supplier says I must use non-silicone/non-butile, can I use DRY SEAL™ MP? Yes, DRY SEAL™ MP is a specific modified silane terminated polymer. Do you have to remove all the rot? All decay must be removed prior to application for the system to work properly. The moisture content of the remaining wood must be below 18%. A Repair Care Wood Condition Meter is available to check the moisture content. How soon can you paint the repair? As soon as the DRY FLEX® is fully cured, it can be sanded and then painted or stained. The exact curing time of DRY FLEX® depends on the size of repair, application temperature and humidity and the curing time stated on the products is for guidance only. Can the resin be painted or stained? Yes, most paints and stains can be used over DRY FLEX®. Can you nail or screw the resin? Yes, you can. We recommend drilling a pilot hole first, in the same way you would with timber. Can you use the system in the bad weather? DRY FLEX® should be applied in dry weather and above freezing point. (above 10 degrees for DRY FLEX® 16). What tools do I need to do the work? Details can be found on each product page. What size repairs can I do? DRY FLEX® 16 can be used up to 50mm deep in temperatures of 10-35°C. DRY FLEX® 4 can be used up to 20mm deep during warm weather (10 – 35°C) and 50mm in depth during colder weather (0-10°C). DRY FLEX® 1 is suitable for repairs up to 10mm deep. There should always be a minimum depth of 5mm to ensure full flexibility in the cured repair. 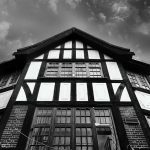 Can I use DRY FLEX® on listed or historic buildings? The DRY FLEX® system has been used extensively on many historic buildings. Please ask your local conservation officer to contact us if there are any queries. Can I use DRY SEAL™ MP on metal windows frames? Yes. Please see the guidance notes on the product data sheet. Can I use DRY SEAL™ MP around my shower/toilet? No, it is not suitable for this type of application. How can I remove smears of dried DRY SEAL™ MP from glass? DRY SEAL™ MP should be applied carefully, without over filling the rebate. Excess is best removed from the glass with a sharp blade when it is cured. DRY SEAL™ MP is brilliant white – can I leave it unpainted? DRY SEAL™ MP has UV resistance so can be left unpainted but painting will help protect against surface pollution. What is the best technique for getting a smooth finish with DRY SEAL™ MP? Please refer to the guidance notes and instruction video on the product page. Epoxy resin products are classified as skin irritants. Avoid skin contact by wearing Nitrile gloves. When appropriate wear eye protection. Full details are available on the product data sheets. How ‘green’ is DRY FLEX®? Our system repairs only the affected area rather than the whole component so less material is used, saving on disposal, raw materials and transport. Why is my DRY FLEX® not curing in the time stated on the tube? The exact curing time depends on the size of repair, application temperature and humidity and the curing time stated on the tubes is for guidance only.